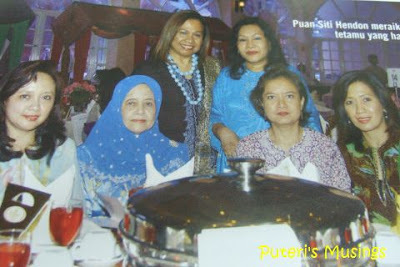 aiyoooo....Puteri,tot you ask us to look at you in the mag! !..You will get the connection soon and appear in Nona soon!! Haha, Lesley, I wished I were that well-connected! Fulamak, I kena mention rupa nya dekat sini. No wonder I felt the vibes..ha ha. Oh that time I was so not blogging & not blog hopping. Gosh you must have had a wonderful time in Malaysia. I saw some photos in Zawi's entry.